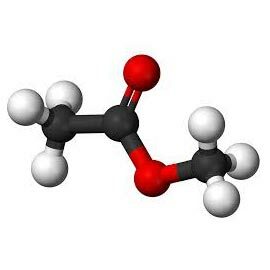 We bring forth a qualitative range of Methyl Acetate. The Methyl Acetate offered by us is prominently used in the nail polish removers, adhesives, cosmetics, paints, printing inks and pharmaceutical industries. This range of Methyl Acetate is suitable for use in the applications where fast solvent release and quick dry-to-touch time are needed. We make sure to manufacture these solvents as per the quality standards and norms of the industry.